GitHub is a place where you can show your code.For example, when you learn new technology, go create a repository with some small proof of concept how to leverage that technology and upload it to GitHub. 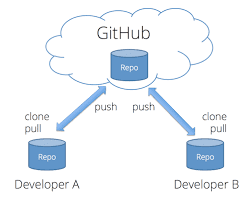 GitHub is Git’s cloud-based publishing tool and hosting platform. It also has a desktop application for locally storing projects. Now, what does git mean? Git is used by programmers, developers, and designers to store projects and keep track of changes to their files. It basically is a version control system like any other like CVS and Subversion. Git is an open-source version control system that was started by Linus Trovalds – the same person who created Linux. Git is similar to other version control systems Subversion, CVS, and Mercurial to name a few. First You Download GitHub Exe and install in your system. Below are the steps for adding your existing code in GitHub. 1). Open a solution in Visual Studio. 2). If solution is not already initialized as a Git repository, select Add to Source Control from the File menu. 4). In Team Explorer, click Sync. 5). 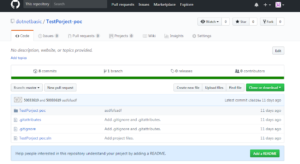 Click the Publish to GitHub button. 6). Enter a name and description for the repository on GitHub. 7). Check the Private Repository box if you want to upload the repository as a private repository on GitHub. You must have a Developer, Team or Business account to create private repositories. 8). Click the Publish button. finally you can see your code.